Following an incredible opening set by Agnes Obel prior to The The‘s headlining set at Sony Centre, something a little unusual happened – the lights stayed off. Usually, between acts you’re likely to see the house lights go up for a bit, but on this night, the house stayed dark. I don’t know if that was an intentional choice, but if it was, I suppose it was fitting since it did seem to continue the mood after Obel’s set in a way. And I suppose anyone who wanted more light could have just stepped out into the lobby anyways. 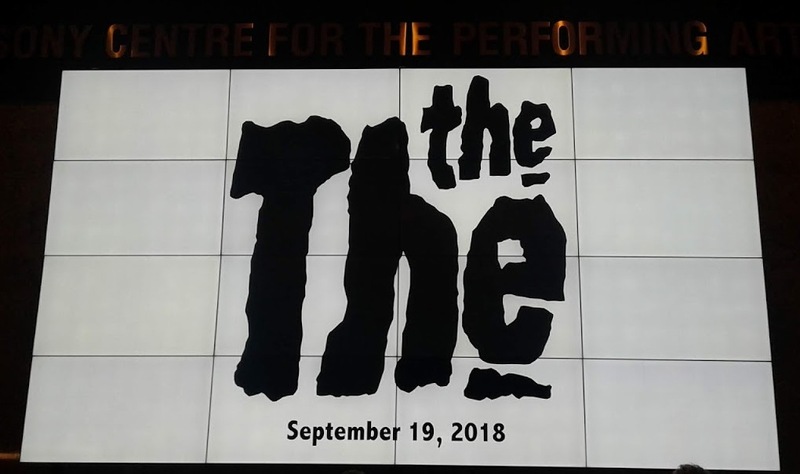 While it may have been an intentional choice to keep the crowd in darkness, The The frontman Matt Johnson made it fairly clear early on that they didn’t want the vibe to seem too dark for the audience for the duration of the night. “I know we have a serious reputation, but behind the scenes we’re not serious at all,” he said. “So feel free so dance and sing along.” And though nobody did bother getting up and dancing at that point, they finally did a few songs later after Johnson pulled the old trick of comparing us to other cities, deeming Toronto to be the “most genteel” crowd so far on the tour. He did add though that we were free to sit down and stand up as we pleased throughout the course of the night as there would be quieter songs. Noting that it had been a long time since the band had been through Toronto (possibly 20 years, though he wasn’t quite sure), Johnson was certainly up to the task of making up for lost time, running through a set of songs from throughout their career and offering up plenty of stories about those songs over the course of their roughly two hour long show. Highlights included “Armageddon Days Are Here (Again)”, “This Is The Day”, “Love Is Stronger Than Death”, and their cover of Hank Williams’ “I Saw The Light.” Johnson proved to be an engaging, amiable frontman, balancing out the serious, political side of the band with a solid sense of humour, illustrated at one point when he attempted to have a moment of silence for seemingly no reason at all, possibly just to prove the point that it’s impossible for some people to keep their mouths shut for any period of time. During the band’s three song encore, Johnson lamented the fact that setlists being readily available online has sort of spoiled the surprise during shows, though he made the most of it by pretending that they take requests, pausing then to let the audience shout out for the next tune, which the internet would have told us was indeed “Uncertain Smile”, before ending things off with “Lonely Planet” off of 1993’s Dusk. And while any surprise may have been spoiled, it didn’t make the songs any less effective.